Owner Steve Horvath knows the value of giving back to the community. Steve is a supporter of Love INC, which mobilizes churches to transform lives and communities. 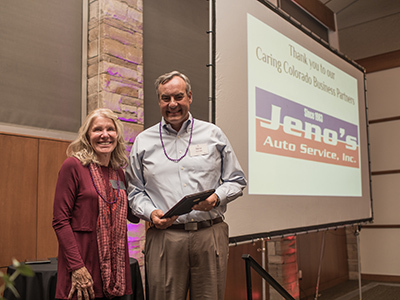 Here Steve accepts the Caring Colorado Business Partner award from Patti Ward, Board Chair for Love INC of Littleton at their 2017 Harvest event. 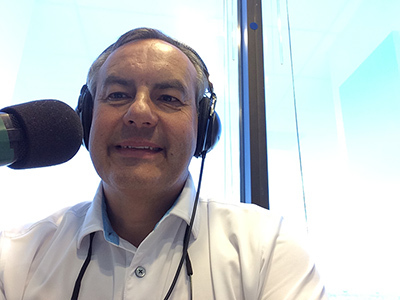 Steve is a frequent volunteer guest on 560 KLZ Drive Radio on Saturday mornings 10am to 1:00pm hosted by John Rush. The show’s purpose is to educate the motoring public, so they can be informed about their vehicle and the proper care of it. Steve recently served as two-year chairman of ASA Colorado. The Automotive Service Association advances professionalism and excellence in the automotive repair industry through education, representation and member services. It is the leading organization for owners and managers of automotive service businesses that strive to deliver excellence in the service and repairs to consumers.